Preorbital dark circles are dark blemishes under and around the eyes – many people get them, but what causes them and how can you get rid of them? 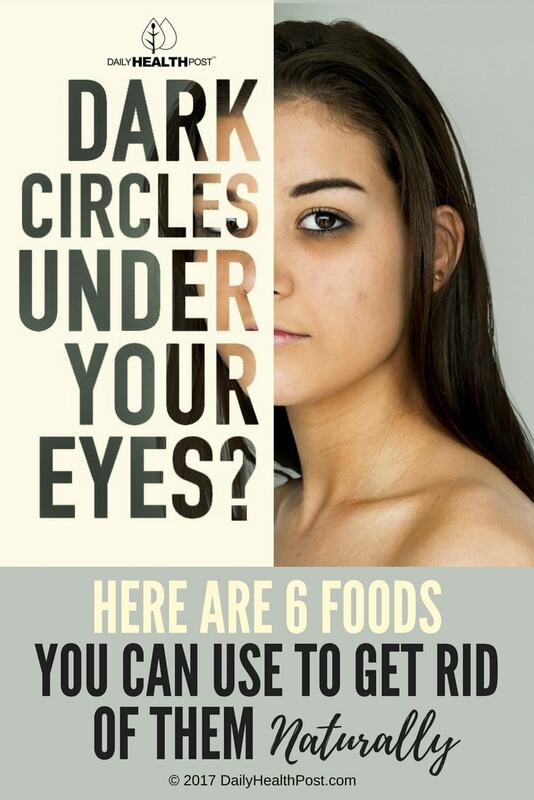 According to doctors at the Mayo clinic, it’s not just fatigue that causes you to develop these dark blotches; it can also be allergies, eczema, contact dermatitis, sun exposure, or thinning skin due to the loss of fat and collagen that happens as you age making the skin under your eyes look darker. Anaemia and liver problems can also contribute to this issue. While there are many ways to deal with dark circles under the eyes nutrition is as important as ever in restoring your skin to it’s natural state. Here are some foods that can help you deal with those shadows under your eyes naturally. 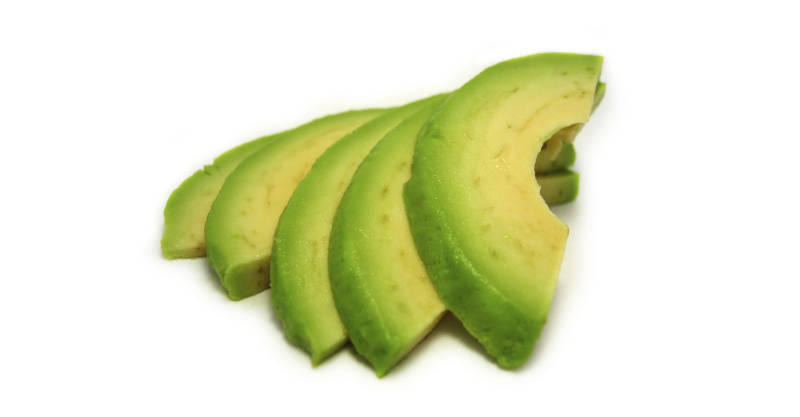 Packed with vitamin E and vitamin B complex, avocados have natural anti-ageing properties. They can also combat inflammation associated with too much fatty foods, making them perfect for use on puffy, dark circles under your eyes. Place a thin slice of avocado under your eyes, or mix avocado with a tablespoon of almond oil to form a paste and apply that to the skin under your eyes. 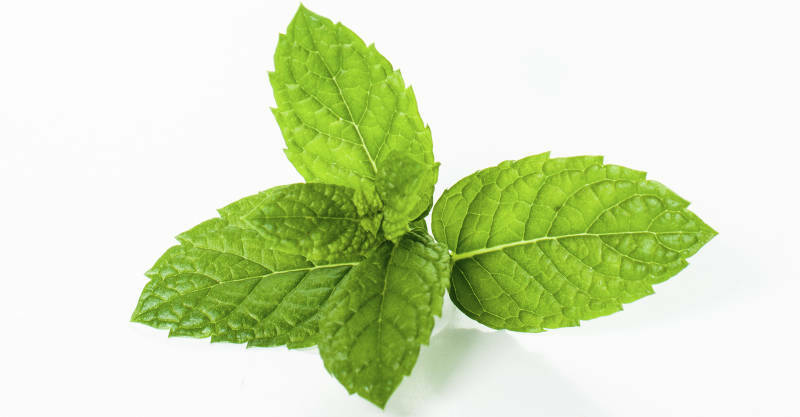 The menthol in mint leaves increases circulation under your eyes, which can help eliminate dark circles. How does this work? According to studies, a protein in the skin known as transient receptor potential cation channel subfamily M member 8 (TRPM8) is responsible for regulating the flow of ions and cellular membranes into the nerve cell. Try applying crushed mint leaves to the skin under your eyes for 5 to 10 minutes, then removing them with a moist towel. 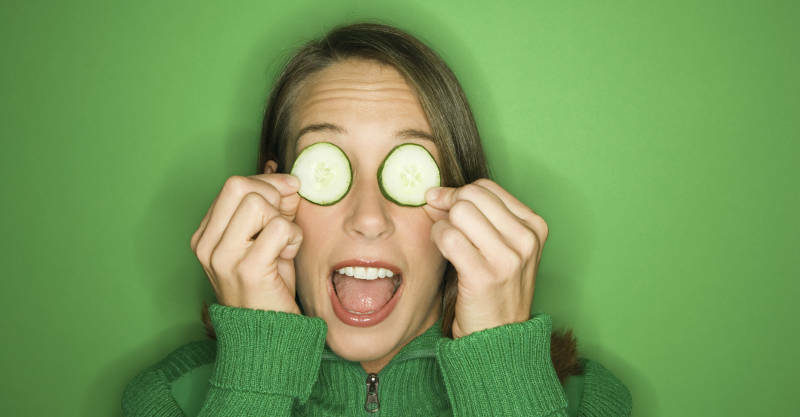 If you’ve heard of any remedy for circles under the eyes, you’ve probably heard of this one – but it’s more than just an old wives tale that cucumbers can reduce swelling and constrict blood vessels. In 2009, a study revealed that the antioxidants and flavonoids in cucumber possess significant anti- inflammatory properties. 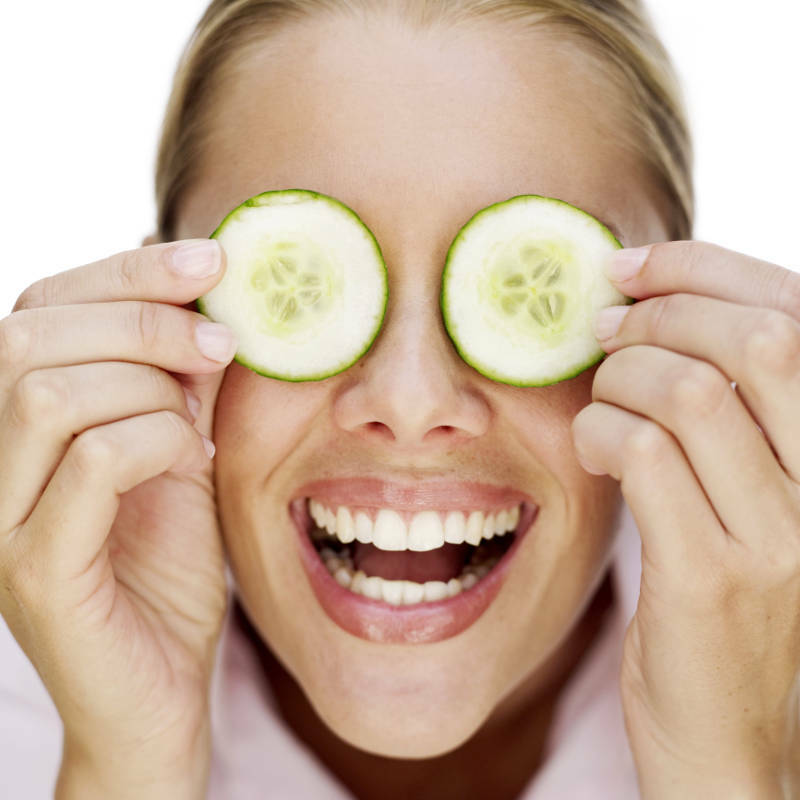 To use cucumbers to treat the bags under your eyes, place slices of cucumber over your eyes and leave them there for 15-20 minutes while you relax.